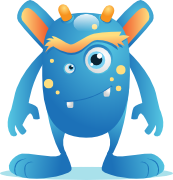 Code Monster, Code Maven, and Game Maven from Crunchzilla have been used by hundreds of thousands of people around the world to experiment with learning to write computer programs. There have been many requests to make them and available in languages other than English. Translations: I hope others are able to take the content and translate part or all of it into languages other than English for use in more classrooms around the world. New lessons: New tutorials might teach programming games, working through puzzles or math problems, or perhaps a more traditional computer science curriculum aligned with a particular lesson plan. Entirely new tutorials: Some of the ideas and techniques -- including the step-by-step learn-by-doing style, live code, informative error messages, and avoiding infinite loops in students' code -- might be useful for others. The code was designed to be all static, so you can easily create your own version just by editing the files and then putting all the files together on your own server. 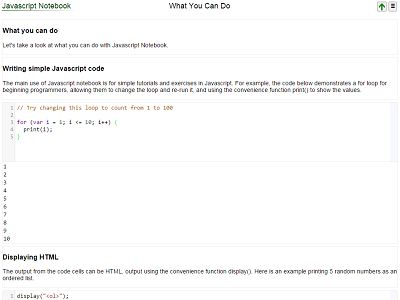 There is a single JSON file that contains all the lesson content. If you use the code for anything that helps children learn, I'd love to hear about it (please e-mail me at greg@crunchzilla.com). This just came out, the book Radical Candor by Kim Scott. It's a good read on managing and focused on people. I'd recommend it if you are a manager or help others manage people. I'd summarize it by saying it takes a teaching and mentoring approach to management, very much of the school that managers primarily exist to help the people on their team. The advice is both practical and actionable, with specific advice for running 1:1s and meetings, and focused how to encourage conversations where people strive to improve themselves as well as helping others. "It seems obvious that good bosses must care personally about the people who report directly to them ... And yet ... "
"It turns out that when people trust you and believe you care about them, they are much more likely to accept and act on your praise and criticism, tell you what they really think about what you are doing well and, more importantly, not doing so well, engage in this same behavior with one another ... embrace their role on the team, and focus on getting results"
"When you're the boss, it's awkward to ask your direct reports to tell you frankly what they think of your performance, even more awkward for them than it is for you. To help, I [ask] ... 'Is there anything I could do or stop doing that would make it easier to work with me?' ... It is essential that you ... commit to sticking with the conversation until you have a genuine response. One technique is to count to six before saying anything else, forcing them to endure the silence. The goal is not to bully but to insist on a candid discussion ... Then listen with the intent to understand ... Once you've asked your question and embraced the discomfort and understood the criticism, you have to follow up by showing that you welcome it. You have to reward the candor if you want to get more of it ... Make a chance as soon as possible ... show you're trying." "If you can absorb the blows, the members of your team are more likely to be good bosses to their employees when they have them ... The rewards of watching people you care about flourish and then help others flourish." 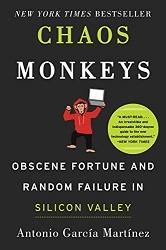 Cynical, mercenary, and dark, this book aptly serves as an opposing view for any idealism you may have been feeling about Silicon Valley startups or their bigger brethren. Some of us work in technology to make a difference. That is not what you will find in this book. It is a tale of a startup that wasn't really a startup, three people with no real product acquired after 10 months. It is a tale of sales and personal marketing, spinning unfavorable realities into golden-sounding tales capable of jumping the next hurdle and moving on to the next deal. It is a tale of greed and personal ambition, everything viewed through a Wall Street lens of climbing a hierarchy of wealth and power, some in the world of venture capital, and particularly detailed at Facebook. Facebook comes out of the book particularly poorly, as if Zuck is a some kind of fickle boy king holding court with his sycophants. During his time at Facebook, the author appears to try to join this clique, only to grow bitter when entry is rebuffed. Most interesting is the description of Facebook's struggle with advertising revenue, especially after its IPO. As the author describes it, Facebook couldn't figure out how to make the promised revenue. Eventually, in mid-2013 or so, they found a way, not by using data on what people do, but knowing who most people are, which turned out to be particularly important on mobile ("basic targeting like age and gender was a godsend to data-starved marketers ... data-wise, you have a first-party relationship with [only] a few apps"). The real value of Facebook turned out not to be its data on what people are doing, but merely being able to identify most people consistently and willing to exploit that to its fullest. It helps if you know at least a few of the personalities featured in the book. Paul Graham, Sam Altman, Chris Sacca, Greg Badros, and many others make at least brief appearances, usually to get splattered with the slime that drips from these pages. Many VCs and people at Facebook and Twitter are also mentioned, mostly described as the amoral who's who of the rich and powerful of Silicon Valley. Like many who got lucky, the author confuses luck with skill. Sure, that pitch meeting went well, but that meeting almost didn't happen. Success often was a result of a chance connection at the right time. In cases where the author angered someone with his arrogance or foolishness, someone should have killed the deal, and might have had they been in a slightly different mood that day. This startup was almost stillborn, barely making it into Y-combinator. The acqui-hire almost didn't happen, almost killed by lack of customer growth and shenanigans by the author. That everything worked out even as well as it did was mostly good fortune. To his credit, the author realizes some of this in the end. In the acknowledgments, he writes, "Let's be blunt: ours was a relationship of pure convenience, and I exploited you as much as you did me." But he also writes of some he encountered, "In a Valley world awash with mammoth greed and opportunism masquerading as beneficent innovation, you were the only real loyalty and idealism I ever encountered." I'd like to think mammoth greed and opportunism have much smaller representation than idealistic innovation. Some may call me wishful, but I think pushing for that idealistic world to be true is part of making it true. This book is not going to stop me from thinking that tech companies should be a force for idealistic innovation and promise for the future. At least in my circles, most people I talk with are awash with idealism, a genuine belief that what they are working on can make things better for others. It saddens me to see that the author's perception of the tech industry is so different than my own. I'm unable to fully finish them and get them exactly where I wanted them before starting at Microsoft. But I'm launching anyway in case they or the ideas in them are useful to others. SwipeLingo is a game-with-a-purpose, a quick matching game that is both fun and helps with memorization like flash cards do. 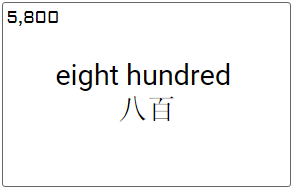 There are example games — particularly interesting is Chinese numbers, where you learn the characters pretty quickly after starting with wild guessing — and it's also easy to create your own. I was motivated to create SwipeLingo by loving Duolingo but wanting the vocabulary memorization in it to be more fun, and also wanting to try to build a non-native touch web app game that works equally well across desktop, laptop, tablet, and phone. Please let me know if take a look and have any comments or suggestions. And please tell others who might be interested about them too! Update: About three years later, I shut both of these down. There are no longer available.